Welcome to SOS Dublin Plumbers. We have been installing, repairing and replacing central heating, plumbing and drainage systems and providing professional plumbing services to the people of Dublin since 1968. We can carry out all services, from fixing a leaking tap, to dealing with burst pipes or a complete bathroom refit. We also provide a maintenance service for letting agents and private landlords that includes landlord gas safety checks and emergency repairs. SOS Dublin Plumbers have a 24 hour call out service in operation 365 days a year. This is so our clients will never get left stranded. Unfortunately plumbing emergencies happen when we least expect them to. If you call us we will firstly try to advise you over the phone on how to alleviate the issue. We will then dispatch an emergency Dublin plumber to your home or business immediately. If your heating packs in on Christmas day or you’ve no hot water on new years eve you can rely on our emergency Dublin plumbers us to be there within an hour to help you. For more information on emergency plumbing you can visit our sister site by clicking here. We cater for all standard plumbing works. As Dublin’s premier domestic and commercial plumbing contractors no job is too large and none too small. 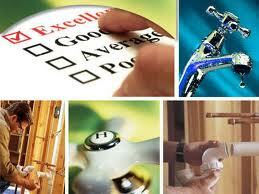 Plumber Dublin have some senior staff with over 35 years experience within the trade. The knowledge and know-how within our team at Dublin plumbers ensures all work is completed in a professional and timely manner. We have built our excellent reputation over the decades we have been trading. This has been achieved by always focusing on the customer and their needs. All of our staff are friendly and courteous at all times. We make sure before hiring a new team member that they have all the skills needed to provide the high standard of plumbing work we expect. All our staff are fully qualified. they must all be R.G.I. registered. We check all references thoroughly. We also ensure they are up to date with all manual handling and health and safety legislation. For your reassurance all of our work comes under our “Plumbers Dublin” parts and labor guarantee. If you need a plumber in Dublin who is going to be 100% honest and reliable just call us. We are always happy to provide a professional no obligation quote free of charge. Unlike some of our competitors we understand that we are not out of the recession yet. We know people shop around and look for value for money. This is where our “fair price” policy comes in. Once we quote a price it is locked in. Some companies like to sneak in all the extras at the end such as charging time for getting parts, travel time, parking fees and whatever else they can think of. Here at Plumbers in Dublin we will never ask for payment until the job is completed and then only when the customer is fully satisfied with the work. Please note, WE NEVER CHARGE FOR CALL OUTS (please read our terms and conditions by clicking here). Get Your Boiler Serviced By Our R.G.I. Registered Engineers. Getting an annual boiler service is one of those things that is often overlooked by people. A majority of us just take the regular flow of hot water and heat for granted. A boiler can be compared in many ways to a car, a car has a yearly N.C.T. to ensure it runs properly. A boiler may not be used for months in the summer, just think if you left your car in the garage for 6 months without using and then went to start it? Would it start first time? A boiler can be very similar, all manufacturers recommend an annual boiler service and there are 3 main reasons. Firstly efficiency, in a recent independent study it was shown that if your boiler hadn’t been serviced for 3 years a service could save up to 15% on your household’s annual heating bills. Secondly when a R.G.I. Dublin plumber conducts a service they dismantle and clean all parts in your boiler. Whilst doing this our R.G.I. registered Dublin plumbers can identify any parts that are worn or likely to falter in the not to distant future. Replacing a part at this point is far cheaper than having to have an emergency call out down the road in the middle of winter or having to replace the whole boiler itself. Finally, probably the most important of all, safety. Boilers can develop 2 types of leaks, water and carbon monoxide. A water leak can cause structural damage and if the water comes in to contact with electricity this becomes a fire hazard. Carbon monoxide leaks on the other hand can cause illness and in some cases can cause fatalities. Book your boiler service with our R.G.I. experts at SOS Dublin Plumbers today. Please click here to read our article on reasons you boiler may break down. For more relevant information on boilers you can take a look at our sister site, If you live in County Meath we highly recommend Boiler Services Meath. All our work comes 100% guaranteed. All parts used are covered by the manufacturers warranty. If on the off chance a problem does arise we will respond immediately and put the problem right. This of course, will be totally free of charge. As a large well established company, we also like our customers to know that we are fully covered by professional and public indemnity insurance. With SOS Dublin Plumbers you are always in safe hands. All makes and models of boilers repaired and replaced. Dublin Plumbers, No Call Out Fees (please read our terms and conditions by clicking here) 24 Hour. Welcome to SOS Dublin Plumbers. Providing a professional plumbing service to the people of Dublin for over 40 years. Standard & emergency plumbing 24/7.